Edward Barnes, left, and Laken Jones are facing charges of aggravated assault and armed robbery. 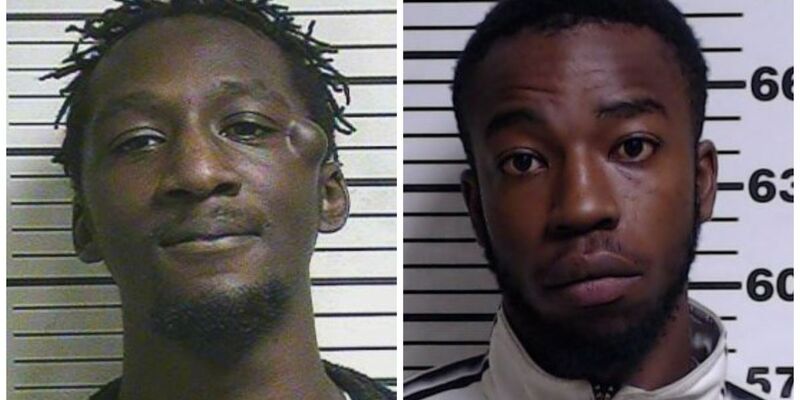 GULFPORT, MS (WLOX) - Two suspects have been charged in a shooting that left a 19-year-old man injured late Monday night. Edward Barnes, 24, and Laken Jones, 19, reportedly went to the 6th Avenue house looking for someone who lived there. That’s when the two men tried to rob the people who were inside the house, said police. According to authorities, Barnes pulled out a handgun and demanded money from the victims. During the course of the robbery, Barnes shot one of the victims, said police. Barnes and Jones fled from the house and were later arrested. The 19-year-old who was shot was taken to the hospital with non-life threatening injuries. Barnes is charged with two counts of armed robbery and aggravated assault. His bond was set at $600,000. Jones was charged with two counts of armed robbery. His bond was set at $100,000. Both were booked into Harrison County Jail. Anyone with information about this shooting is asked to contact Gulfport Police at 228-868-5900 or Mississippi Coast Crime Stoppers at 877-787-5898.